Do you remember The Sixth Sense? It was when M. Night Shyamalan made good movies back in 1999. *Spolier Alert* (Are these necessary 16 years later?) Do you remember your reaction when Bruce Willis realizes he’s dead? My mind immediately tried to recall every previous scene of the entire movie viewing it now through the lens of this new-found knowledge. It changed the movie! 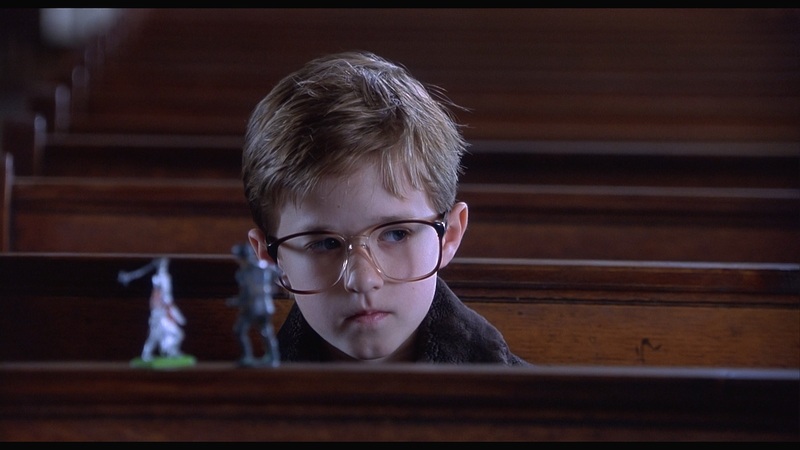 When I replayed The Sixth Sense, it was like I was watching a completely different film, analyzing each scene with new scrutiny to better grasp what REALLY happened. New knowledge layered over existing memories changes how you remember it. You find the same effect in plot twist movies like The Sixth Sense, Inception, or even The Dark Knight Rises. It’s not limited to just movies though because it can happen in life as well. For instance, think about how the new knowledge of God’s forgiveness of our sins can change the way we look at our past… once bound, but now we’re free. Sometimes the effect is positive, but other times it’s destructive. You and I can admit that sometimes there are people who get on our nerves. They annoy us enough to the point of developing a bad attitude toward them. Most times we have enough self-control where we never actually wrong them, but the sentiment may remain. Then we start to feel bad about our attitudes and feel a pull to make things right. In order to clear our conscience we may feel it’s necessary to tell someone what we’ve REALLY thought of them. Yet if we’ve never actually outwardly wronged someone, they probably don’t have a clue we never liked them to begin with. I believe it’s in moments like these that you should be asking for forgiveness from God, not from the individual. Imagine you approach a friend and say, “Hey, look… I wanted to let you know that for the past seven years I really haven’t liked you and I wanted to say I’m sorry.” This new knowledge changes the way they see your relationship simultaneously in the past, present, and future. They’ll look back at every interaction now through the scope of your bad attitude. While you might feel like you’ve relieved yourself of a burden, you’ve merely placed the burden on the other person. So if you are feeling particularly ungenerous toward someone but haven’t actually wronged them… remember The Sixth Sense and avoid the real-life plot twist. Take it to God and let His forgiveness change your heart and change the way you see that person. Matt, First time I’ve scrolled down to your bio. Love it! You truly are a gifted young man and your attitude toward life, faith, family, and others is amazing! There really is no award for who you are other than your intrinsic response and what comes back to you from all the good you put out into the world. So glad to be your cousin. And so happy to know you even better through your gifts in technology. Lots of love!